1890 Wilbur and Orville attempt to turn their weekly newspaper into a daily called The Evening Item. It fails after a few months and they return to printing. Clement Ader of France makes a brief hop in a steam-powered, bat-wing airplane called the Eole. 1891 W. L. Judson patents the zipper, but it does not become popular for another twenty years. 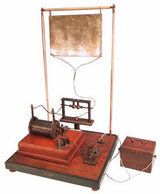 Thomas Edison patents the Kinetoscope, a device to view motion pictures. This marks the beginning of the motion picture industry. 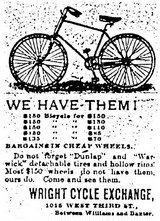 1892 Wilbur Wright begins to sell and repair bicycles, perhaps inspired by a huge gathering of the American Wheelmen that takes place in Dayton on July 4 and 5. Later, Orville joins him. They keep the printing business, letting childhood friend Ed Sines run it. Tchaikovsky performs The Nutcracker ballet and Sir Arthur Conan-Doyle publishes The Adventures of Sherlock Holmes. James Naismith publishes the rules for basketball and the first official game is played in Springfield, Massachusetts. Biologist Dimitri Ivanovski discovers viruses. 1893 The Wright brothers visit the World's Colombian Exposition, aka the Chicago World's Fair. The fair hosts the International Conference on Aerial Navigation, a watershed event for aviation, but it's doubtful the Wrights attended. Twenty-six million people visit the World's Colombian Exposition in Chicago, marveling at the progress and promise of technology. 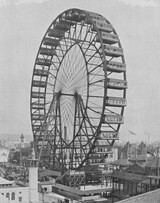 The fair also introduces Americans to hamburgers and the Ferris Wheel. 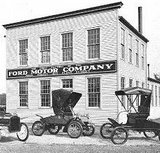 Henry Ford experiments with gasoline engines and begins to build an automobile. 1894 In England, Hiram Maxim builds a massive multi-wing "test rig" to test lifting surfaces. On a test run, it breaks free of its restraining track and flies for about 200 feet. 1895 The Wrights gear up to manufacture their own bicycles, the "St. Clair" and the "Van Cleve." The bike business is profitable. Guglielmo Marconi transmits the first radio signals from an English post office. Wilhelm Röntgen discovers X-rays and Rudolf Diesel patents the diesel engine. 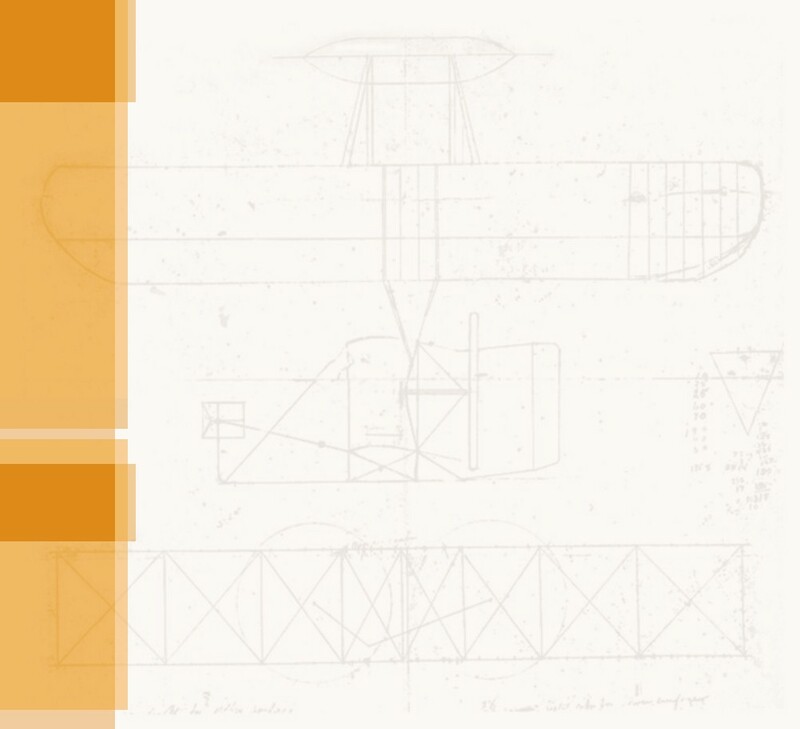 1896 The Wrights take an interest in the "flying problem" after hearing of the flight of Samuel Langley's unmanned "Aerodrome" and the death of glider pilot Otto Lilienthal. 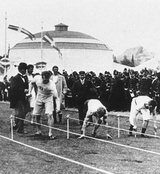 The first modern Olympics are held in Athens, Greece. John Phillips Sousa composes The Stars and Stripes Forever and the United States Supreme Court introduces the "separate but equal" doctrine, upholding segregation. 1897 Fingerprints are used to solve crimes, the Klondike Gold Rush begins in Alaska, and Bram Stoker writes Dracula. 1898 The United States goes to war with Spain, and Marie and Pierre Curie discover the first radioactive element, radium. Langley agrees to build a manned Aerodrome for the US Department of War for $50,000. 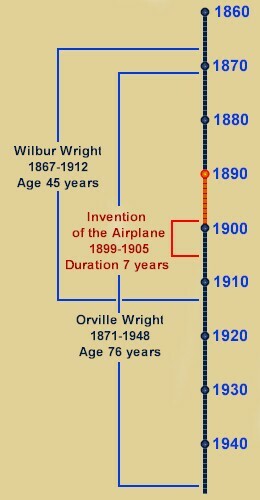 1899 Wilbur devises an aerodynamic control system for aircraft and builds a kite to test the concept. 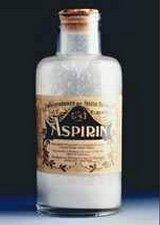 The Bayer pharmaceutical company of Germany introduces aspirin. Spanish rule ends in Cuba, Ragtime music becomes popular, and the US Congress approves the use of voting machines for federal elections.